Why waste the sun’s immense potential on just a tan when you can use it to heat your water? Installing solar water heaters in your home can be a cost effective way to generate hot water because, well, sunshine is free! 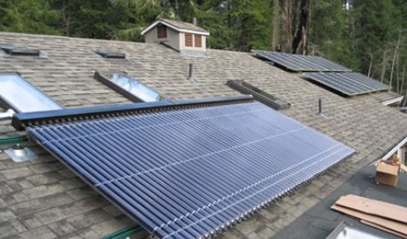 Solar water heating systems are made up of a combination of storage tanks and solar collectors, and you can choose from two types: active and passive. The difference between them is that active systems have circulating pumps and controls, while passive ones don’t. 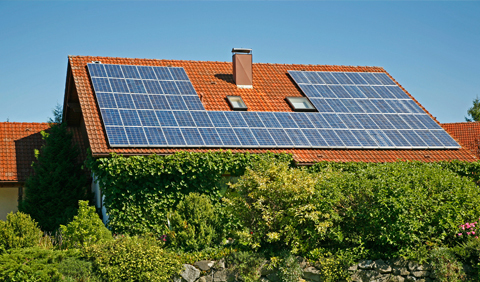 Passive solar heating systems are normally less expensive than active ones and can also be more reliable and longer lasting. On the other hand, they’re not quite as effective as their active counterparts. Both systems usually require a well-insulated storage tank, with an additional outlet and inlet connected to and from the collector. In a two-tank version, the solar water heater will preheat the water before it enters the conventional water heater while in a one-tank version the heater is combined with solar storage in one tank. These types of collectors are insulated weatherproof boxes with a dark absorber plate under one or more glass or plastic covers. Also called ICS or batch systems, integral collector-storage systems consist of one or more black tanks or tubes in an insulated, glazed box. 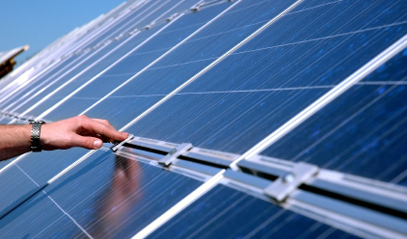 Cold water first passes through the solar collector, which preheats the water. The water continues on to the conventional backup water heater, which provides a reliable source of hot water. These systems should only be used in milder climates because the outdoor pipes could freeze in severe, cold weather. Evacuated-tube solar collectors have parallel rows of transparent glass tubes, with each tube containing a glass outer one and a metal absorber tube attached to a fin. The fin’s coating is what absorbs the solar energy but also inhibits radiative heat loss. These kinds of collectors are more commonly found in U.S. commercial applications. Back-up systems are usually needed to cater for overcast days and in case of increased demand. Some systems include conventional storage water heaters (which have a backup), or provide their own backup system (i.e., rooftop tanks with thermosyphon systems). Integral collector-storage systems already have their own hot water storage, but some may also include a tankless water heater as a further backup. 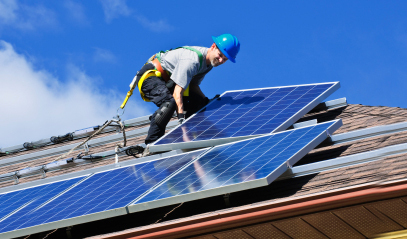 A certified RESNET Home Energy Professional would be the best person to advise and assist you with any questions you might have about solar water heating systems.